It's the Chinese Year of the Dragon! Happy New Year! 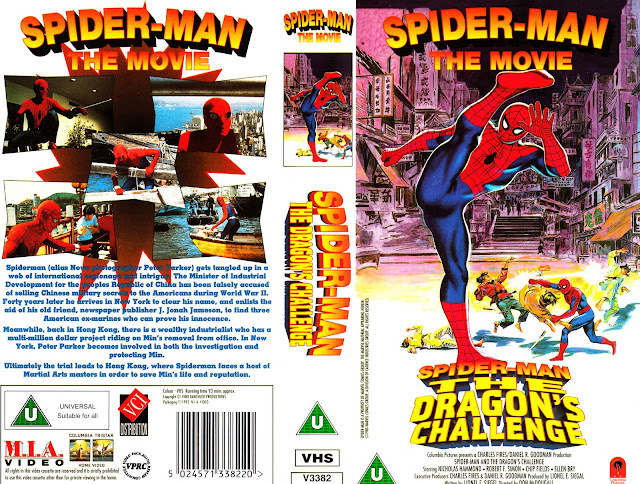 In the late 1970s, the SPIDER-MAN live-action TV show (starring Nicholas Hammond) decamped to Hong Kong to shoot its final two-part episode (The Deadly Dust). Such largess wasn't just a last-ditch effort to boost the ratings, it was also a canny plan to bolster production standards to pass-off the TV productions as the third (yup, third!) SM feature film in overseas markets. Presumably these were the sort of movies that made ideal half term holiday fodder for undemanding pre-teen cinema-goers. It's hard to believe anyone the other side of puberty would deprive much pleasure from their low-fi action. 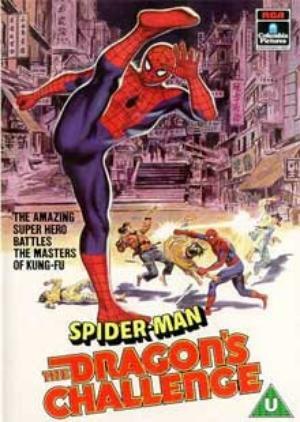 The poster emphasises the kung-fu factor but, truth-be-told, there isn't much in the show itself. The stunts are the usual low-fi TV fodder viewers would have become accustomed too but the Far East locations are certainly more fun. The show's producers were clearly out-of-their-depth, manfully struggling to translate the action of the comic book to the screen on a TV budget. Possibly fearful of evoking the campy traditions of sixties BATMAN, the show also suffered a humour bypass, jettisoning all the comic's natural humour. The three faux feature films (SPIDER-MAN; SPIDER-MAN STRIKES BACK and THE DRAGON'S CHALLENGE) were mainstays of the VHS era (the Video Collection sleeve is above) but Marvel/ Sony successfully buried them in the DVD era, presumably to avoid any confusion with the new features. The TV show has also been conspicuous in its absence, giving bootleggers a field day.